Vinod is an adept juggler, someone who is engaged in and balances a variety of things in his life. You may catch him in quiet meditation at one moment while at another he may be zooming off on his bike. He feels at ease in all of the roles that he plays, be it facilitating a shift in mindset for leaders, building new business models for his current & upcoming ventures or being a doting father & husband, he can wear different hats quite effortlessly. He is on the pursuit of elevating himself, to connect with a higher power, or simply his higher self. He believes there is more to the world than what meets the eye. He believes in the infinite potential that we have and has always pushed himself and others to explore that potential. Vinod has been working in the area of Training & Consulting for more than a decade now. He specializes in the areas of Leadership development, Communication & Facilitator development. As Chief Growth Officer at GrowthLeap, he focuses on bringing about sustained growth in the business as well as the people involved. His work in Leadership development goes beyond GrowthLeap, he is associated with companies like McKinsey & Co and Life Learning Solutions as their External facilitator. He also runs a Retail business in the gifting space. Prior to this, he was a Co founder & Director at PlatinumOne, a group that has interests in Training, Outsourcing & Financial Product Distribution. 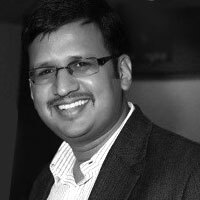 He has also worked with organisations like ICICI Prudential Life, Titan Industries & Info Edge (Naukri.com) . Sumana is quiet person, who loves her solitude and connects most with nature. Don't get carried away by her generally calm demeanor, she is actually a perseverant feisty lady who rarely takes No for an answer. She also loves cooking and exploring the offbeat places on the roads less travelled. She finds solace in driving and hopes to participate in car rally someday. She discovered her passion for training by chance and there has been no looking back post that. She is adept at building lasting relationships with diverse people and this comes to her very naturally. She connects with people effortlessly and is intuitive and savvy in perceiving people's needs. She started her career 15 years ago with a marketing role at The Times Of India. Post which she attained her Masters in Business Administration in Finance and Marketing. 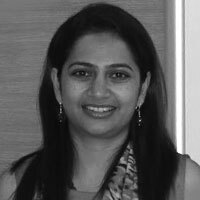 She had a successful stint in ICICI Prudential Life Insurance in the Business Excellence Team. She also worked in London (United Kingdom) as the Marketing and PR person for a Real Estate firm. 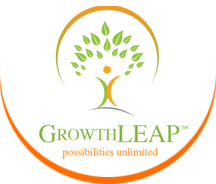 As Chief Relationship Officer at GrowthLeap she focuses on building and managing business relationships. She has an uncanny ability to connect people with opportunities. She runs a curated contemporary jewelry design store as well. She savors writing and has a blog page raosumanaeventful.blogspot.in on how eventful life is.